Sundays just got a little bit more fabulous as the Gin Journey has launched a series of special events. After two successful years in Liverpool the popular gin tour’s organisers have decided to add a Sunday tour to give locals and tourists the chance to explore the city. Their Saturday journey takes guests around town in a mini bus and visits five bars. The guests receive five cocktails, five tasters the history of gin in Liverpool from the twelfth century to today with plenty of gin prizes handed out as we roll. Food is offered but not provided. They are taking this model (5 bars, 5 cocktails, 5 tasters, a mini bus round town all day with a Gin Guardian leading the way) and making the Sunday tours more guest-led with a bigger emphasis on the history of cocktails as well. 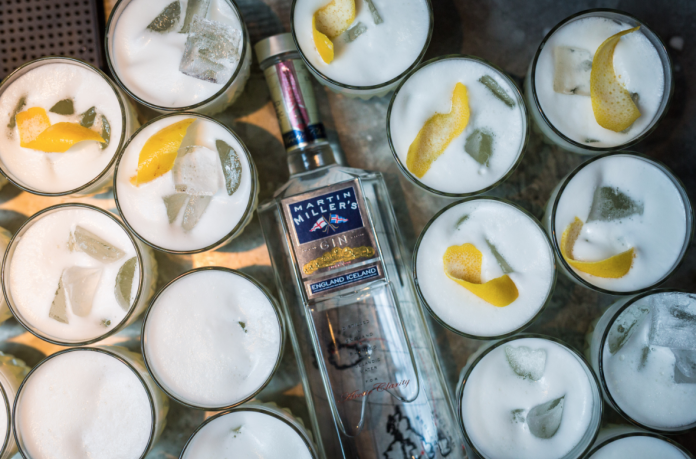 At every venue there will be an opportunity for the guests to help create their own cocktails, whether that is choosing between a strawberry or lime Gimlet down at Furnivals Well or simply what garnish they would prefer in their GnT. Organiser Kate Meehan says: “We will be working closer than ever with the bar teams to create a completely immersive day out. The Sunday tour will start at 12:30pm and finish at 5:30pm. “We will be heading to Lucha Libre for make your own Red Snappers (The original Bloody Mary, with gin NOT vodka!) and a hearty Mexican brunch offering before post brunch martinis at Petit Café and a trip to the other side of town to visit the Liverpool Gin distillery and learn all about the botanical trade and early gin distillation in Liverpool in the late 18th Century. They are launching four dates to see out 2018 – 18/11, 25/11, 2/12, 9/12, priced at £53.30.